A valiant 153 from Virat Kohli and a urgent 38 from Ravichandran Ashwin framed the essence of India's batting on Day 3 as the guests prodded their first innings aggregate to 307 preceding getting played out. 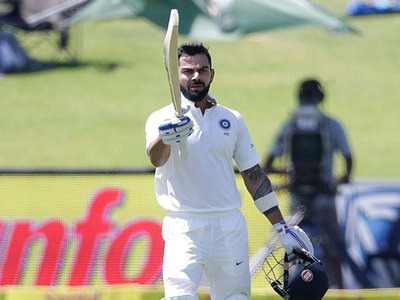 India trail South Africa by just 28 keeps running in the second Test at Supersports Park, Centurion on Monday. Heading into Day 3, two batsmen held the key for India: Kohli and Hardik Pandya. If India somehow managed to go anyplace near South Africa's first-innings aggregate of 335, them two expected to produce a critical association. However, Alas. Having sent the main wad of the day towards the limit, Pandya discarded his wicket; an easygoing endeavor to get once more into the wrinkle minutes after Virat Kohli had enlisted his 21st century in Tests. Pandya took off for a solitary yet Kohli won't, and keeping in mind that coming back to the wrinkle, the allrounder invest an easygoing exertion. His feet and bat were observed to be noticeable all around despite the fact that he had gone too far.